Is your car looking a little bent out of shape? I mean, literally bent out of shape? You aren’t alone! There is a multitude of vehicles on the road that shows signs of wear and tear. 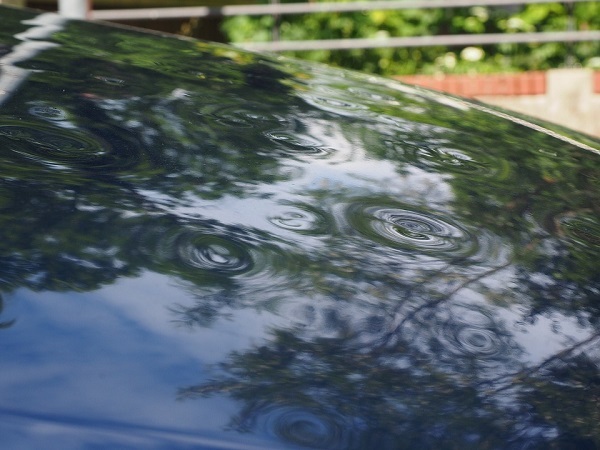 Small dents aren’t worth paying a fortune to fix since the damage is purely cosmetic. Fender benders are pretty common, as are run-ins with non-automotive sources. How often have you backed into a fence, or accidentally opened your door a little harder than you should have exactly where you shouldn’t have? It happens! Accidents happen. Luckily, there are some financially friendly ways around this. We know that your car means more to you than just transportation. It’s a symbol of who you are, and you take pride in the appearance of the vehicle your drive. So, how do you fix dents in your car without putting a dent in your savings? Easily, that’s how! Motorful is here to help you again with this sometimes puzzling problem. We’re the DIY site that you need in your life for easy, quick repairs that’ll have you wondering why you didn’t do them sooner. 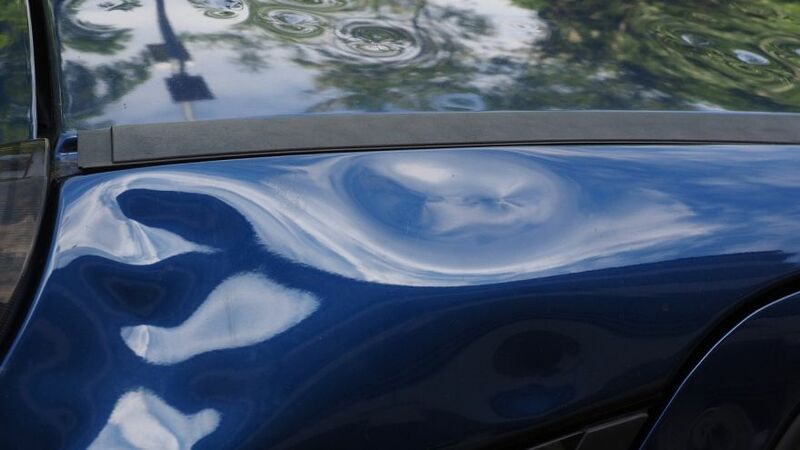 Car dents are actually rather easy to fix! Or, as easy as anything automotive can be. They’re a great point for beginners to start at and are a gentle introduction to the world of Do-It-Yourself projects. We’ll go over some tips you need before you begin in this article. There are so many tips and tricks out there, but these are the best around! You’ll find this process much easier after giving this list a look and a read. So, what are you waiting for? Those dents are going to fix themselves, after all! Get reading, and then get fixing. In the meantime, we’ll take care of the rest. Start With A Clean Surface: This is, arguably, the most important step in the process. Before you begin we recommend doing a thorough cleaning of the entire car. We have great articles on cleaning wheels, refinishing rims, and more! If a good detailing is due then get to it. 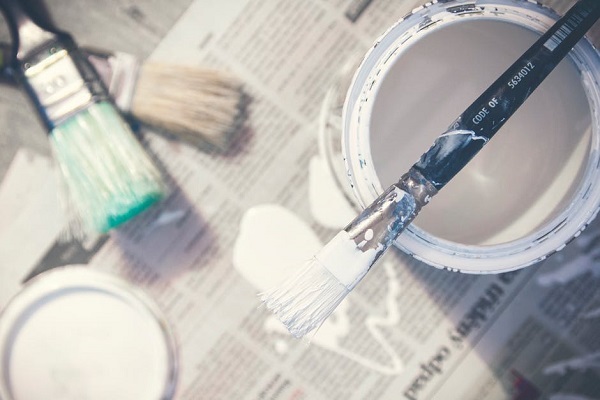 Abrasive materials on your paint can leave scratches behind, which is another DIY project in of itself. While gaining experience with refinishing paint is great, you don’t want to end up with more damage than you began with. Besides, since you’re fixing the cosmetic damage, you might as well get your car back to showroom quality. If you don’t have time to do a full scrub-down (c’mon! We know you do! ), then just use soapy water and a sponge to thoroughly wash away all grime on the area you’ll be fixing. Get It Together: Before you begin you’re going to want to gather your supplies. We’ll compile a list on the products you’re going to want on hand as we go over tips. If you’re unsure about which brands to buy, or which products are best, then check out our buying guides! These will give you some perspective on what’s what when it comes to the best supplies and tools out there. There is nothing worse than having to pause a job when you realize there’s a piece missing from your toolkit. So, hey, don’t delay! Finish today! Alright, we’re done rhyming for now. Time to get back to business! Now that we’ve given you a few tips on a successful job, we’re going to get into the actual methods. These are the tried and true ways to get your car back into tip-top shape! Whichever you choose, be sure to follow the directions that come along with each one. Skipping steps can put you in a tough spot! The Plunger Method: While this may sound strange, it’s a pretty good method for getting out the major dents. It’s fairly simple, too, so it’s a great one to try for beginners! Make sure to thoroughly wet the plunger, as well as the area of the car you’re taking a dent out of. This will lessen the chance of harming the car, as well as adding an extra layer of suction. Then, place the plunger on the dent and start plunging until the dent pops back into place. You might still have a couple of small dents left behind, but those are easily fixed by using any of the other methods on the list. Please note that you must use a cup plunger, not a flange. Cup plungers are used for sinks, while flange plungers are what you would normally visualize when you think “plunger”. Namely, flange plungers are for toilets. 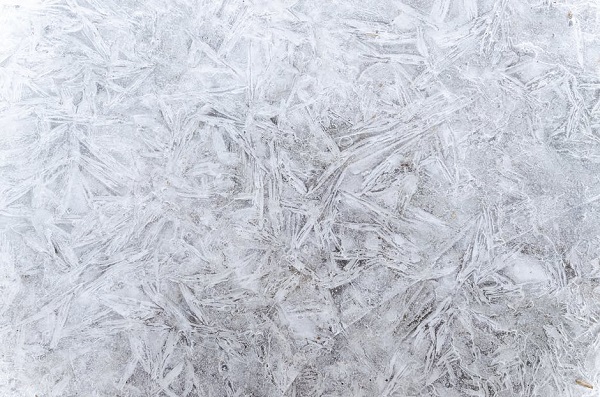 The Dry Ice Method: Protective gear is especially crucial if you decide to go this route. Dry ice is notoriously dangerous without proper handling techniques. We’re sure you remember the demonstrations your teacher presented in science class using dry ice. It’s a super fascinating topic with a lot of cool applications (get it? Cool?). Once you have your protective gear in place and your dry ice ready to go just take a piece and hold it against the dent. Press down, and move it around! Listen for the “Pop!” that tells you the dent has popped back into place. Or, y’know, just watch for it. 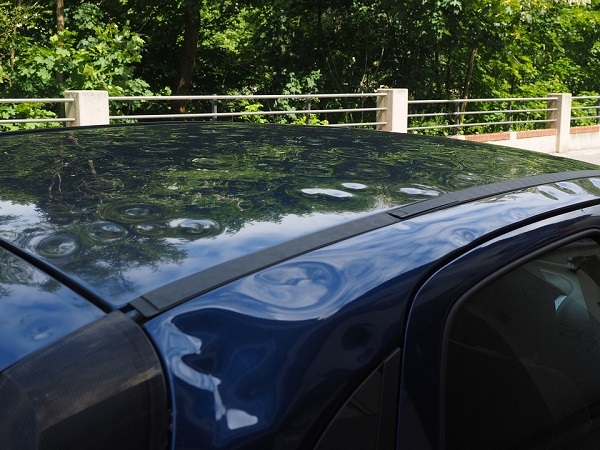 This method is particularly useful to use after the plunger method for the smaller dents that might get left behind. The Boiling Method: This is a pretty popular method that most people have heard of. Simply put, you just pour boiling water onto the spot. This is only for use on bumpers since it involves reaching behind the area and popping it out with your hand. We also recommend using gloves to protect your hands, since boiling water is, well, pretty hot. Use bring out a hot kettle and pour the water directly onto the dent. Reach behind the bumper and try to pop it out. Repeat as many times as you need to until the bumper pops back into place. Presto! Fixed bumper dent. Of course, you may need to do a little more. We have excellent tips on bumper repair if you’re unhappy with the results! The Remover Tool Method: Do you remember those TV advertisements for all sorts of new inventions people have come up with? There are a few in particular that we’re thinking of. Namely, the tools people have created for removing dents. Some of these are actually super handy and can be your knight in shining armor when it comes down to dent removal. If you have the products used in other methods lying around you should definitely try that first! After all, this method does involve purchasing a potentially pricey product. It does work, however, so keep it in mind if you’re not feeling up to experimenting with other methods. The Hair Dryer Method: … featuring compressed air! This method involves a small science lesson. You see, molecules expand when they come into contact with heat. When they are exposed to cold or even room temperature air they will contract. This creates a sort of suctioning push-and-pull that can help you remove dents with minimal effort. Use the hair dryer on the dent until it’s nice and warm. Then use the compressed air on the same spot. You’ll have to repeat this a few times, but after a little while, it should work like a charm. There are several different sources of heat you can use if you don’t have a hairdryer. A heat gun will work, for example, if you have that on hand instead. We do not recommend using an open flame, however, even though some websites seem to suggest this. You can harm the paint by doing so. For the sandpaper make sure you have two pieces each of 150, 220, and 400 grit. You’ll also want two pieces of 400 and 800 grit, with one piece of each wet, and the other dry. You’ll have to remove the paint first. This will involve you taking the 150 grit sandpaper and removing the paint from the dent. Remove paint from the surrounding area, as well, about an inch all around. Once you’ve done this you’re ready to begin filling the dent. Body filler is what you’ll use, keeping mind that it hardens quickly so you don’t have much time to work. It’s best to make sure you have everything ready so that you can move through these steps quickly. Place the filler over the dent. Try to make it smooth, and level. This will improve the overall appearance of the vehicle once you’re done. Pause what you’re doing for around an hour. You can technically begin work again after a half-hour, but we recommend really giving it a lot of time to settle. Now you’re ready to move onto the sanding step! Sanding is done to smooth down the body filler until it matches the rest of the car. You’re going to use your rubber sanding block for easier and smoother application. We recommend also using gloves, which you should have during this process, anyways. Make sure to use eye protection as well, and a dust mask. You don’t want to breathe in any of the dust from the body filler, or get that dust in your eyes! That’s just bad news bears. Wrap the 150 grit sandpaper around the sanding block. Run it against the filler in even swipes until you’re pleased. However, don’t finish it off! You’ll use the finer 220 grit sandpaper once you’re close to being done for a better finish. Don’t rush this part! It’ll be the deciding factor in how this repair looks. filled the filler with your putty you’re going to wait. You only have to stop working for around a half-hour this time! The putty dries in no time at all. Once it’s dried you can sand the putty as well, this time going over it with the 400 grit piece of sandpaper until the surface is back down to where it needs to be. Quick Tip: Don’t rush the process. The sanding is the most important part! It will determine how your finished product looks, so take your time and go slow. For this next step, you’re going to almost completely cover your car. You can use a few different things to do this. We suggest using a plastic sheet, or a car cover. Don’t use a car cover you want to keep, however, because you’re going to cut a hole in it that the dent will show through. Once you’ve placed it over the car tape the hole down around the dent with masking tape. The purpose of doing this is to keep your car from getting the primer on it. You’ll want to protect the tires, as well. About three coats of primer should do you just fine. At this point, you can call it a day. You want the primer to be completely finished drying before you continue this process, so let it do so overnight. You’ll probably be tired, anyway, so it’s nice to take a break! When you come back the next day just remove the car cover (or another masking method). Next, you’re going to, you guessed it, continue the sanding process! This is where the wet paper comes into play. Keep both the sandpaper and the filled-in area wet while you work. The 400 grit is what you’ll use to start. Sand the primer coats down slowly and steadily. You want it to be nice and smooth when you’re done. Once it’s where you want it you’re ready for the final step: the coat of paint! Always color match your car’s paint at an auto store. You can get custom paint to ensure the better result and a much better look for your vehicle. Take out your customized car cover, slide it back over, tape it off, and get to painting. You should apply around three even coats, perhaps four if you feel the need. Leave it overnight, and then use the 800 grit sandpaper to blend it into the paint on the rest of the car. Correct the dullness of this finished result with a rag covered in the polish. Thoroughly wet the area and go to town. After this, you’re ready to polish that baby up with regular, ol’ car polish until it shines like a star! So, there you have it. Techniques for dent removal can often seem intimidating, but we made sure to include a few that aren’t quite as involved as patching. There is absolutely a time and a place to patch, but we think it’s better to try less invasive methods first. If all else fails, patch to your heart’s content. With all of these tips on dent removal, you should be good to go no matter what you bang into next!